The message of the Wayanad decision is simple. The Congress believes it first needs to save itself before it saves any of its potential allies. Wayanad is at the tri-junction of Kerala, Tamil Nadu and Karnataka, and Gandhi’s campaigning could enthuse party workers in all three states. 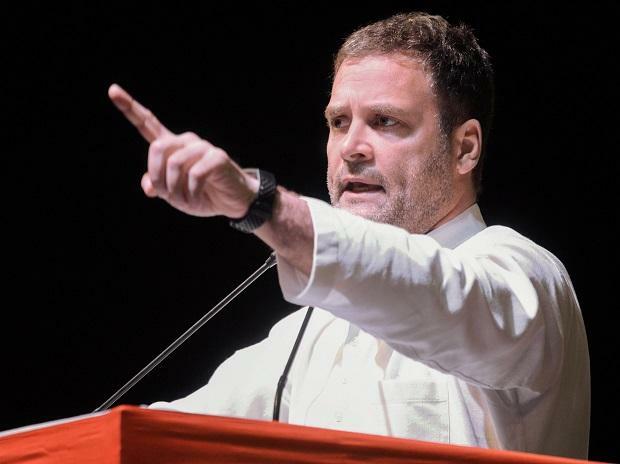 The Congress party on Sunday announced that its president Rahul Gandhi will contest from the Wayanad Lok Sabha seat in Kerala, in addition to his sitting Amethi seat. The Congress decision has stunned Kerala’s ruling Communist Party of India (Marxist)-led Left Democratic Front. Over the past five years, the Left parties, its affiliates and supporters, have been at the forefront of raising peoples' issues. It was the Left parties that held the first big protest in Delhi against the increasing atrocities on the dalits in 2015, bringing such leaders as Prakash Ambedkar and Jignesh Mevani to attend. The Left parties, particularly its affiliates working among farmers and workers, have across the country and in Delhi, held demonstrations and protests to highlight farm distress and erosion of workers’ rights. Large protests were held in 2016, 2017 and 2018 in Delhi. Not just the famous long march from Nashik to Mumbai, where an estimated 30,000 marginal farmers walked 150-km, many of them barefoot, to raise their voice against violation of the forest rights act, but the Left has been the primary force in bringing farmers and workers on the streets in Rajasthan, Delhi and other parts of the country in the last three years. In Rajasthan, left leaders like Amra Ram have raised their voice against cow vigilantism and lynching of Pehlu Khan, when the state unit of the Congress failed to gather the courage to do the same. The CPI (M) affiliated All India Kisan Sabha led the farmers’ movements in Rajasthan, and the Congress mostly rode piggyback to power in the Assembly polls in that state on that issue. Its leaders like Ashok Gehlot and Sachin Pilot took up the issue and hit the road when the AIKS had already done much of the hard work. Much of the political discourse against the Narendra Modi government, particularly on issues of farmers’ and workers’ rights, joblessness and atrocities on Dalits, has been shaped by Left-affiliated farmers' and workers' trade unions on the ground in the last few years. Therefore, it has shocked the Left parties that the Congress party first refused to align with them in West Bengal and now its party chief will contest the Lok Sabha from Wayanad as well. The CPI (M) and other Left parties had expected the Congress to be more accommodating in sharing seats in Maharashtra, Rajasthan and Bihar. In Kerala, according to the LDF sources, the Congress chances brightened once that party won Assembly polls in Chhattisgarh, Madhya Pradesh and Rajasthan in December. Kerala has a significant percentage of minorities, and even the majority Hindus have reservations about Sangh Parivar’s politics and regressive socio-cultural agenda. According to sources, in the Left parties and Congress, the Congress success in Assembly polls has apparently convinced most in Kerala that they should vote for the Congress in the Lok Sabha if they want to replace the BJP at the Centre. Even before the Wayanad decision, the LDF did not expect to win more than 6-7 seats of Kerala’s 21 Lok Sabha seats because of the impact of the Assembly poll results. Wayanad elected a Congress candidate in both 2009 and 2014. So, the Left would have in any case struggle to wrest that particular seat from the Congress. However, the Congress president contesting from Wayanad could mean a Congress sweep in the state. This could mean the Left parties get reduced to below half dozen seats in the next Lok Sabha since their handful of seats could now only come from Tamil Nadu, Bihar and Maharashtra, and possibly West Bengal. Interesting is why the Congress has decided to field Gandhi from Wayanad. It has argued that the Congress president’s candidature could influence the party support base and galvanise party workers not just in Kerala, but also neighbouring Karnataka and Tamil Nadu. The Congress is contesting in Karnataka in an alliance with the Janata Dal (Secular), and with the Dravida Munnetra Kazhagam (DMK)-led alliance in Tamil Nadu. Opinion polls by independent agencies and internal surveys by the Congress have shown that Gandhi leads Narendra Modi in popularity in southern India, but lags far behind in the north. Wayanad is at the tri-junction of Kerala, Tamil Nadu and Karnataka, and Gandhi’s campaigning could enthuse party workers in all three states. The Congress, it would seem, is trying to maximize its seats. It is willing to risk the BJP ridicule that Gandhi has run away from Amethi. It could also be a precursor to the decision that party general secretary Priyanka Gandhi Vadra could challenge Modi in Varanasi. Senior party leaders, like Digvijaya Singh, have already entered the electoral arena and there is speculation that party treasurer Ahmed Patel might also contest. The message of the Wayanad decision is simple. Congress believes it first needs to save itself before it saves any of its potential allies. The Congress is making 2019 Lok Sabha elections its last stand.